Bankside is a lively central London riverside location which stretches from Blackfriars Bridge to London Bridge and lies directly opposite St Paul’s Cathedral and neighbours the South Bank. The area is part of the London Borough of Southwark, and is seen as South London’s alternative to the West End and is steeped in history, features iconic landmarks, unique architecture, a vibrant art scene, mouth-watering markets, award-winning restaurants, bars and shops, perfectly blending both history and modernity. 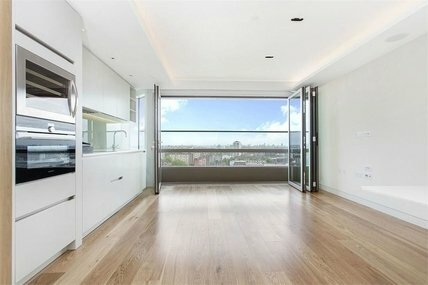 Bankside is seen as a very fashionable place to live in and offers great prospects for property investors. There are many ways to get to Bankside; walking over one of the picturesque bridges, the RV1 bus service which runs from Covent Garden to Tower Gateway, or stopping off at the nearby tube stops of the Mansion House, Southwark or London Bridge. However, a particularly stunning way to arrive at Bankside is via the Thames Clipper, getting off at the pier. Bankside has continually developed and strengthened as a residential area since the first pioneers started regenerating the warehouse and period properties around Clink Street, Bermondsey Street and Shad Thames; beginning over 25 years ago these were some of the first modern property developments within London. There is a diverse mix of homes available, such as warehouse conversions, period properties and new build apartments. 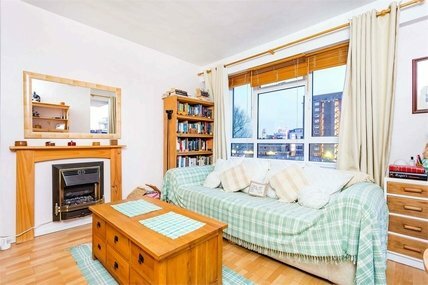 Those searching for a flat to rent in Bankside often have Bermondsey Street at the top of their wish list, with its combination of loft-style living and modern apartments, two open parks and a growing number of places to eat and drink. Bermondsey Street, along with properties such as those at Shad Thames or Clink Street, was some of the first places to benefit from regeneration some 25 years ago. 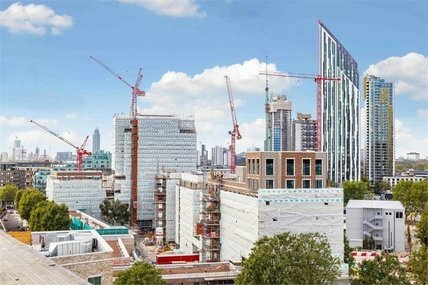 Since then, Bankside property has gone from strength-to-strength with future large-scale developments planned at the Elephant & Castle less than a mile south of London Bridge. Elsewhere, there’s Benbow House, New Globe Walk, where almost all of the apartments have views of the river and St Paul's Cathedral, and the award-winning The Jam Factory, Green Walk, which is made up of large contemporary lofts. There is a selection of primary schools in and around Bankside including Friars Primary School, The Cathedral School of St. Saviour and St. Mary Overy, Charles Dickens Primary School, Snowsfields Primary School and Saint Joseph’s Catholic Primary School. Secondary schools in and around Bankside include City of London School located in Queen Victoria Street, Mulberry School for Girls in Richard Street and Central Foundation Boys School situated on Cowper Street. On St. Georges Road you will find the Notre Dame R.C Girls Secondary School and Southwark Park Road is where you will find Harris Academy. 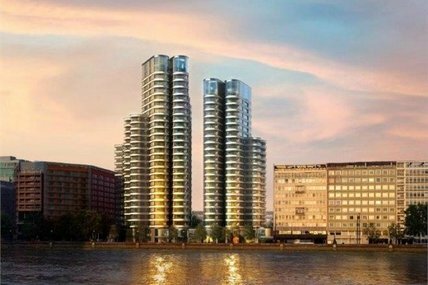 Bankside continues to go from strength to strength as developments including Neo Bankside and One Tower Bridge come onto the market. Bankside has become a very sought after area with the continued investment into The Blue Fin Building and London Bridge Quarter development which includes the Shard. The Thameslink route is currently undergoing a £6million upgrade at London Bridge station, when complete which is estimated to be finished in 2018, it will have the largest concourse in the UK giving passengers the ability to access platforms from one place. The Tate Modern project aims to redefine the museum for the 21st century, providing more space for visitors and new spaces for learning and social spaces. The collection will also be expanded to include art involving photography, video, performance and film, the project is ongoing until complete. As part of the Thameslink Programme, National Rail has strengthened the bridges in Great Guildford Street, Southwark Bridge Road, Union Street and Redcross Way to accommodate the increase in route passenger services and maintain safety. The One Blackfriars project will create a 52 storey 274 apartment building, a 5 storey boutique hotel and a 2 story mixed use building providing a mix of residential, commercial and retail properties, the estimated completion date is 2018. 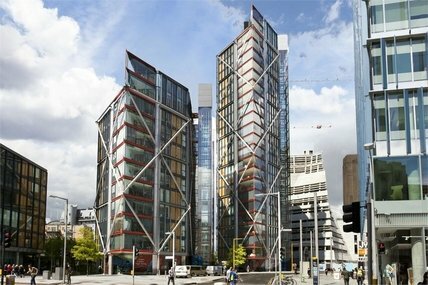 The Blackfriars Road Central project is a development of a 10 storey 86 residential apartment building which will include retail and commercial units; this will be completed by Linden Homes. One Tower Bridge is a 9 block development comprising of nearly 400 residential units, commercial, cultural spaces and a single storey basement area, developed by Berkeley Homes. Bankside is one of the oldest settlements in Britain and takes its name from one of the medieval causeways built to hold back the Thames. Bankside was home to a number of establishments that would not be located within the City bounds as they were considered cheap, distasteful or illegal. The main entertainments that drew crowds to Bankside were the brothels, animal-baiting pits and public theatres. During the Elizabethan period it developed into a fine theatre district with some of the country’s greatest writers and actors, including William Shakespeare. The Rose, the Swan, the Globe and the Hope were the four Bankside playhouses of the Tudor era, and some of the first ever in London. However, during the Commonwealth many of the theatres closed down and Bankside quickly developed into an industrial zone, with docks, warehouses and wharves. Following the Second World War the area was left pretty much dormant until its recent renaissance as one of London’s main tourist destinations. By Tube the Jubilee and Northern Line serve Southwark and London Bridge stations. The Northern Line provides a direct link to Kings Cross, St Pancras and Euston stations. The Jubilee Line provides direct links to the West End. Stops at Waterloo Pier, Savoy Pier, Blackfriars, Bankside, London Bridge and others. By underground the Jubilee and Northern Line serve Southwark and London Bridge stations. The Northern Line provides a direct link to Kings Cross, St Pancras and Euston stations. The Jubilee Line provides direct links to the West End. Today, there really is something for everyone, particularly those who like a spot of culture. The Southwark Playhouse hosts productions old and new, and is also used extensively by children for extra-curricular learning activities. The Bankside Gallery is home to a fine range of prints and watercolour paintings and the world-famous Tate Modern, based in the former Bankside Power Station sitting across the water from St Paul’s Cathedral, linked by the Millennium Bridge. Other attractions include the Southwark Cathedral, the Vinopolis which is composed of a premier wine tasting experience, 5 bars and restaurants and available event spaces; the Golden Hinde, the Tower Bridge Exhibition, London Dungeon, Shakespeare’s Globe Exhibition and Tour and the Menier Chocolate Factory. There are also a number of theatres including the Rose Theatre and the Unicorn Theatre which is specifically catered for young audiences. There are a number of museums including the original ship of Sir Francis Drake which is now a living museum with regular guided tours, The Clink Prison Museum which is one of England’s oldest and most notorious prisons, the Design Museum and the Fashion and Textile Museum. For those who like good food and drink, Bankside ticks all boxes. The jewel in the crown is Borough Market which is one of London’s most renowned food markets offering both international and British produce including a wide array of bakery and confectionary, cafes, bars and restaurants, charcuterie, dairy, drinks, fish and seafood, fruit and vegetables, spices, preserves and condiments and meat poultry and game, located near to London Bridge Station, which has thrived in the area for 20 centuries and remains to this day a mecca for food lovers and those who enjoy a good haggle. The Oxo Tower Restaurant, Bar and Brasserie is on the eighth floor of the iconic Oxo Tower. The Restaurant menu is stylish and innovative, and the Brasserie has a vibrant atmosphere created by an open kitchen, live jazz and good service. Other culinary highlights include:Fish! which specialises in fresh, sustainable and fairly priced fish dishes; the luxurious Le Pont de la Tour with its unusual private dining rooms; Gastronomica, a rustic and friendly Italian deli; Menier Chocolate Factory Restaurant which is a renovated chocolate factory and comprises of a theatre, restaurant, bar and rehearsal space; Roast which encompasses classic British cooking at its finest; the award winning Wright Brothers Oyster & Porter House, The Leather Exchange Bar & The Leather Uppers which holds both a casual bar serving traditional pub food and an intimate restaurant; Delfina which serves traditional food with a modern twist and L’antica Pizzeria which holds true Italian heritage. Pubs within Bankside include The Garrison Public House, Village East, Anchor Bankside, Wheat sheaf and Doggett’s Coat and Badge. Bars include the Brew Wharf and The Rake. Nightclubs include Cable which is spread over three archways and a capacity of 1000; Cable has two dance floors and is open until 6am on Fridays and 8am on Saturdays. Upcoming events include London Wine Week which is a 7 day celebration allowing Londoners to taste, learn and enjoy fine wines. The Rubberbandits are currently appearing at Shakespear’s Globe theatre which includes a combination of offensive antics and comedy. For those who seek leisure facilities, Bankside has a diverse selection including Snowfields Wellness Clinic; which includes eating disorder programmes, massage, sports massage, craniosacral therapy, osteopathy, reflexology, nutritional therapy, western herbal medicine, naturopathy and chartered counselling psychology. With views of the river and sights of Tower Bridge and The Tower of London,Potters Fields Park is one of the few remaining open green parks along the riverside. Located on Thrale Street Floatworks is a tank filled with a super saturated salt solution allowing you to effortlessly float, The Stress Exchange located on Tooley Street is a hair and beauty salon offering a number of treatments and the Colombo Centre offers a large gym with 90 stations of equipment, 2 studios offering a range of exercise class, a badminton, tennis, netball and basketball courts and football pitches. To find out more about what this area has to offer, and the Bankside property that we have available, please contact our Bankside estate agents office on 020 7378 9000.